Privately owned and protected by a high wall, this villa tempts curious visitors with its elegant garden, thanks to a wide gate, overlooking Via Regina. It is also one of the points of interest along the celebrated Green Way. 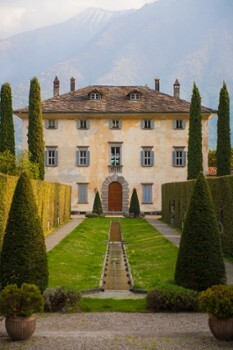 The villa divides the garden, small in size, in two areas, one towards the lake decorated with vases and statues, the other upstream: on this second portion of the garden overlooking one of the entrances to the villa decorated with two nymphs elliptical opposed and a tank with aquatic plants. The cypress avenue that leads from here to the building is characterized by a central pool with water jets, box hedges and flower beds. Thanks to this system extremely scenic, whenever the gateway of the villa is open you can see a fascinating perspective continuity between the water upstream of the tanks and the water of the lake. 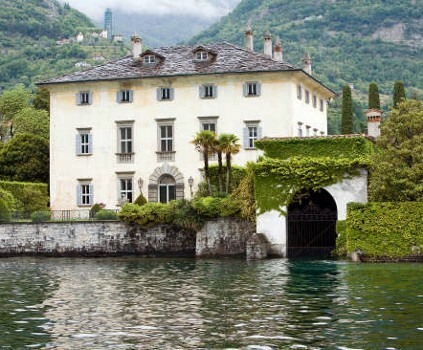 Casa Brenna Tosatto is in Campo di Lenno, situated on the western branch of the Lake Como, an area which offers wonderful natural landscapes and rare examples of architectural and artistic history. 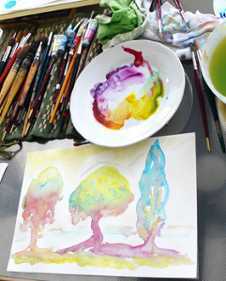 Here you can learn the art of water colour painting by professional artists. Nearby Things to Do include: Water Activities such as Hiring a Boat and Lido Ossuccio; Hikes & Walks such as Hiking Monte Crocione and Hiking Monti di Nava; Villas such as Villa La Casinella and Villa Rachele Beccaria; Towns such as Lenno and Sala Comacina; Churches such as Santa Eufemia and Santa Maria Maddalena; Parks & Gardens such as Parco Mayer Beach and Teresio Olivelli Park.